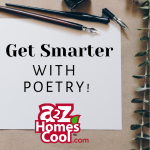 Poetry is often overlooked in a child’s education and is left behind with the literature reading, spelling, math, and more. It shouldn’t be! This underdog of language arts has great potential and can add some fun to your homeschooling. Earth Day is a great time to work science and math into your curriculum. Your kids can feel like heroes when they learn how to go green! It is no secret that libraries are a homeschoolers best friend but you may need more resources to supplement what you have available. Check out an out of state library membership. Spring! The birds are singing, and the sun is shining! 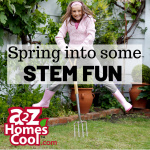 It is the perfect time to spring out of the homeschool rut and have some STEM fun! Elementary ages advance through many concepts from first to fifth grade. 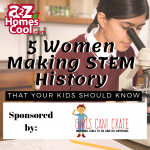 Many programs can help you teach all the essential concepts to your elementary age homeschoolers but why not add in some fun! Discover the benefits to online homeschooling and let technology make your homeschooling easier! The excitement of all the holiday activities have calmed down and the days of nothing planned have taken over. Now is the time when you will hear the dreaded words of “I’m bored.” Get a cure for the holiday boredom with some tried and true boredom busters that your kids will love. 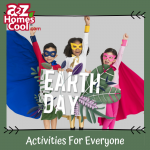 A2Z Home's Cool is always looking for ways to encourage and help our homeschool families. This poll is designed to do just that - help us publish just what you need! Take a minute to answer four questions and you'll be entered to win a free ticket to our Mid-Year Switch Virtual Conference! 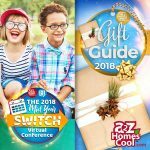 A Homeschool Inspirational Event and Holiday Freebies! Get homeschool inspiration for the mid-year and find out how to get some holiday freebies! Get inspired to make a change! 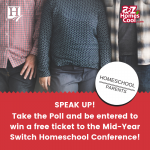 Switch to homeschooling, change that curriculum, and find something that will inspire your family with the Mid Year Switch Virtual Conference. 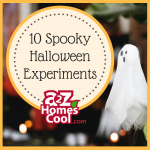 Channel your inner mad scientist with one of these 10 spooky but fun Halloween experiments. Learn how to jumpstart your homeschool student’s college education and save money by earning real college credit with exams like CLEP and DSST. 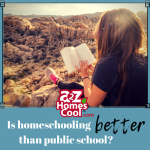 Is Homeschooling Better Than Public School? Are you still wondering if homeschooling is better than public school? 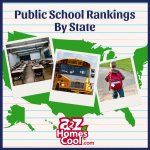 While there are many studies on homeschooling out there, we've compiled a quick list of how homeschool stacks up against public school. Read more now! 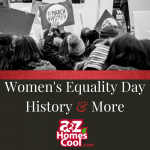 Learn about Women’s Equality Day history and the women's rights activists who made it all possible. Celebrate this day by teaching your child about the importance of this movement with games, activities and more! Teach your kindergartners the way they want to learn. Check out our list of learning activities for 4 and 5 year olds as well as recommended educational toys and games for them to play while they learn! 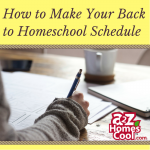 Start planning for the new homeschool year with these tips and ideas on how to make your back to homeschool schedule! College doesn't have to be the next step after high school. 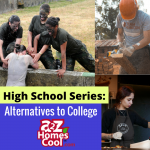 Learn more about alternatives to college and how to help your homeschooler succeed!